Following its release of the UFC 146 payroll figures, the Nevada State Athletic Commission has sent out the details regarding any medical suspensions that have been enacted as a result of this past Saturday’s event in Las Vegas. 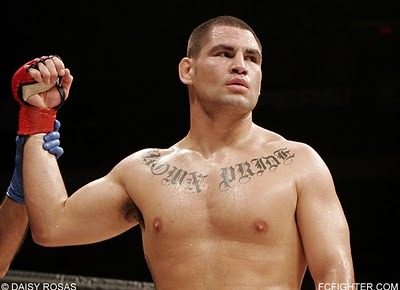 Despite a one-sided performance, which saw him batter Antonio Silva for a quick, first round stoppage, Cain Velasquez could be sent to the sidelines for six months if the former champ’s left hand is broken. Velasquez could return to action sooner if he’s cleared by a doctor, however, the NSAC has mandated that the heavyweight cannot fight before June 26th. The commission has also ruled that Silva will have to have his nose examined and cannot compete prior to November, 20th, if he’s not cleared by a doctor. Due to the stoppage loss and the lacerations Silva incurred in the fight, he cannot compete prior to July 23rd. Although Frank Mir was stopped by heavyweight champion Junior dos Santos in round two, the veteran fighter will be able to compete after July 23rd. Other fighters facing lengthy, six month suspensions due to the possibility of more serious injuries include CB Dollaway (left thumb), Jamie Varner (right hand), Jacob Volkmann (left elbow, right thumb and left knee) and Jason Miller (right thumb, left knee). All of the above are required to receive x-rays and a doctor’s clearance in order to compete before November 20th.